Asia Madani is a Sudanese vocalist and percussionist based in Cairo, Egypt. Performing traditional Sudanese folklore as well as music from various African regions, Asia has made her mark worldwide. She is also a specialist at performing Zar, which is a healing ritual consisting of complex rhythms, voice and dance used as psychological treatment lasting between three to seven nights. Asia started her musical journey at a young age surrounded by music with a father that played oud and her brother, a professional percussionist. Since then, Asia moved to Egypt in 2001 and has become a prominent figure in Egypt’s music scene, performing at venues such as the Cairo Opera House, Salah El-Din Castle, Bibliotheca Alexandrina, Damanhur Opera House, Darb 1718, Cairo Jazz Club, El Geneina Theatre, Room Art Space & Café and many more.In 2015, Asia joined the Nile Project, a collective of over 30 musicians from the Nile Basin countries that aims to inspire, inform and connect citizens who live in countries along the River Nile. She participated in the 2016 Africa Tour, 2017 US Tour, which consisted of workshops and live concerts in 23 cities across 19 states, and the 2017 Europe Tour. Her participation in these tours has established Asia in the international music scene. In addition to her music, Asia plays a significant role in the community, volunteering at St. Andrew’s Refugee Services, the Italian and German Churches. She teaches music, rhythms and dance to refugee children from various African countries. 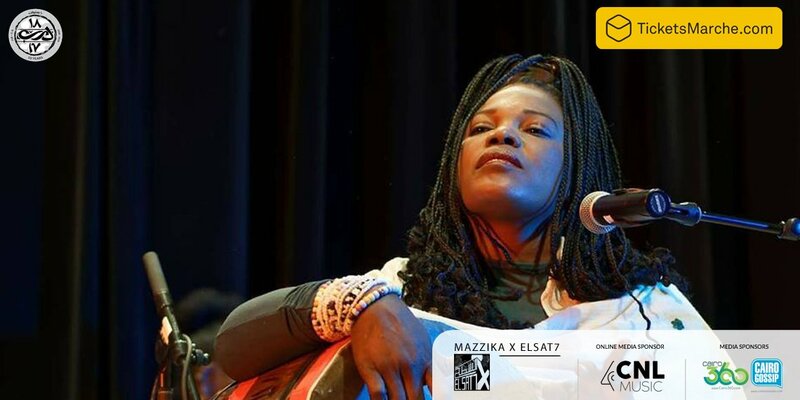 She also founded a children’s choir for children in the Sudanese community.Asia Madani sends her messages through her artistic work and has taken part in several albums including The Nile Project’s third album,Tana. In 2018, she produced her first studio album, Al Zoul. Her music reflects her pride in her heritage as an African and as a strong woman with a voice that is magical and, at the same time, fierce.